Hayden White - University Professor Emeritus at the University of California, Santa Cruz, a world famous American theorist of history and cultural critic known for his analysis of the literary structures of historical works, on Thursday, February 18th, 2010 at 5.3o pm at the Dapartment of History, ul. św. Marcin 78, 61-809 Poznań, room 118, will give a lecture: "Practical Past: Historiography, Literature, and Ethics." "The Practical Past" is a concept or a figure invented by Michael Oakeshott (see his book of essays, On History), and it refers to that aspect of the past to which we advert in order to answer the question: "what should I (we) do?" In other words, "practical" is meant in Kant's sense of "ethical," as in his Critique of Practical Reason. For Oakeshott, the "practical past" is not the same as "the historical past," which means, among other things, that authorized or professionally accredited "historical knowledge" can claim no hegemony over the uses of the past motivated by "practical" concerns. This has important implications for dealing with recent debates in the West over the conflict between history and memory, documentary record and personal testimony, knowledge by experience and knowledge by learning, etc. These debates, in turn, bear upon important issues concerning the social reality of modernity, biopolitics, genocides, "states of exception" (Schmitt), and the like. The notion of the practical past gives us insight into the ways certain post-modernist writers create new forms of the so-called "historical" novel and redefine the borders between "history" and "literature." The literary work of Primo Levi (Survival in Auschwitz), Toni Morrison (Beloved), and W.G. Sebald (Austerlitz) will be alluded to and discussed--time permitting. As "historical" background, I may refer to Sir Walter Scott (Waverley) and Tolstoy (War and Peace). 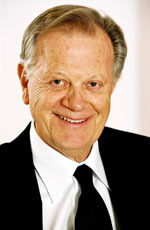 Hayden White, Professor Emeritus at the University of California, is one of the most influential theorists of historiography. His essays on historical representation and narrative discourse have strongly contributed to a "narrative turn" in the study of historical thought. The author of Metahistory (1973), Tropics of Discourse (1978), The Content of the Form (1987), and Figural Realism (1999), White has also published recent essays on historical fiction, witness literature, and Holocaust representation. Poetyka pisarstwa historycznego, pod red. Ewy Domańskiej i Marka Wilczyńskiego. Krakow: Universitas, 2000, ss. 390. „Dyskurs europejski i poszukiwanie europejskiej tożsamości”, przeł. Sławomir Masłoń. Er(r)go. Teoria. Literatura. Kultura, nr 2, 2001: 21-34. „Historia jako dzieje tragiczne”, przeł. Paweł Stachura. 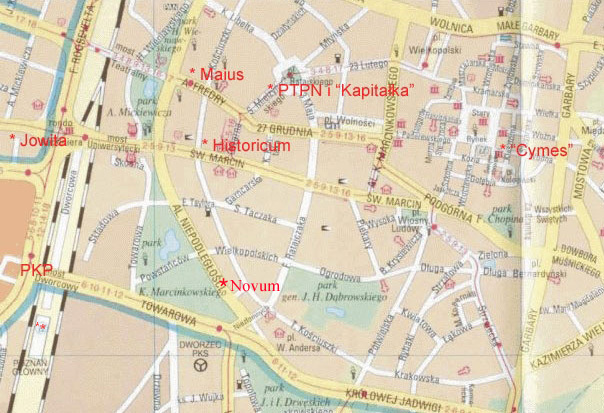 Przegląd Polityczny , nr 71, 2005: 133-151 [fragment from Metahistory]. „Historiografia i historiofotia”, przeł. Łukasz Zaremba, w: Film i historia. Antologia tekstów , pod red. Iwony Kurz. Warszawa: UW, 2008: 117-127. „Pisać historię z którą można żyć. Z Haydenem Whitem rozmawia Sławomir Sierakowski”. Krytyka Polityczna, nr 7/8, zima 2005: 226-233. Domańska, Ewa, „Fragmenty” (emailowej korespondencji z Haydenem White'm), przeł. Ewa Domańska. Pogranicza , nr 2, 2008: 50-54.